With the European Commission's annual progress report due to be released on Nov. 5, Turkey's politicians and less than objective newspapers are already spinning its expected contents. The progress report is expected to be critical of the government, noting the fact that little has been done in terms of passing meaningful reform. Significantly, it will assert that now is the time for AKP to move forward with serious EU-inspired reform, and while surely welcoming AKP's draft of the third national program (NPAA), will pressure the government to move for its approval in Parliament and for the Turkish government to get started on the reforms described therein. 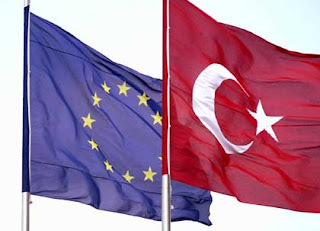 Of important note is EU dissatisfaction with the lack of compromise between political parties, and with CHP and MHP still refusing to do so much as even meet with EU Chief Negotiator Ali Babacan to discuss the contents of the new program, this concern is certainly well-founded. The report will also likely reiterate what the Commission has found time and time again in past annual reports: despite reforms, implementation is often lacking, torture is still rife, and restrictions on the freedom of expression abound. The AKP pursued reform of Article 301 is likely to be treated as welcome, but rather cosmetic, slightly improving problems with the article rather than eliminating it altogether. AKP and AKP-sympathetic press has blamed the slow pace of reforms on the closure case, but its lack of enthusiasm for picking up sweeping reform in the new session will not be so easily dismissed, especially if the party does not take serious steps to reach out to other political actors to initiate real reform capable of remediating what the EU has repeatedly and frustratedly expressed as a recurrent series of political crises. Homage will likely be paid to the observation made by many observers that the government's earnest pursuit of EU reform seems to inoculate the country from experiencing serious political instability. For a preview of the report from TDN, click here. From TDZ, click here. For a detailed analysis of the accession process, see Sept. 16 post for my two-part examination of Turkey's membership bid.